You can roll over funds between a SEP-IRA and a profit-sharing plan. Many employers provide defined contribution plans to employees to encourage long-term savings and investment for retirement. A simplified employee pension and a profit-sharing plan represent two of the several alternatives available to employers. While similar in many respects, the two plans are separate and can’t be combined. However, employees can roll over money between the two plans. A profit-sharing plan, commonly called a 401(k), allows employers to make tax-deductible contributions to employees in two ways. The employer can match a percentage of employee contributions and can also make non-elective contributions. Profit-sharing plans normally allow employees to make before-tax contributions called “elective deferrals,” which are excluded from employees’ current income. As of 2013, employees can contribute $17,500 per year, but those older than 50 can contribute up to $23,000. Employers can make contributions based on the employees first $250,000 of compensation, but total annual contributions to an employee’s account from all sources can’t exceed $51,000. An SEP allows employers to make tax-deductible contributions to employee accounts, known as SEP individual retirement accounts. Employees must meet eligibility standards and can’t make tax-deductible contributions to their own accounts. Contributions vest immediately. Self-employed workers and business owners can contribute to their own accounts. As of 2013, an employer can contribute up to 25 percent of an employee’s compensation, but no more than $51,000, to each eligible employee’s account. Contributions are not required. The contribution limit for self-employed workers must account for self-employment tax. You can figure this limit using the rate table and worksheet in Internal Revenue Service Publication 560. You can roll money between a SEP-IRA and a profit-sharing account. You can also roll both into a traditional IRA. These rollovers are tax-free. If you withdraw money from a profit-sharing account to roll it into another account, your trustee will withhold 20 percent. If you don’t reach into your own pocket to make up the 20 percent, the IRS will treat it as a distribution and tax it. You must complete the rollover within 60 days or the IRS will tax it. If you’re younger than 59 1/2 and miss the deadline, the IRS may also penalize you 10 percent for an early withdrawal. You can instead have your employer perform a trustee-to-trustee transfer, which removes the bother of deadlines and withholding. An SEP can’t be a Roth account, but profit-sharing plans can have designated Roth accounts that accept after-tax employee contributions. Employer contributions must go into the tax-deferred traditional accounts, never into the designated Roth account. You can’t roll the assets from a SEP IRA to a designated Roth account. However, you can roll SEP assets to a Roth IRA and include the amount in your taxable income for the year. 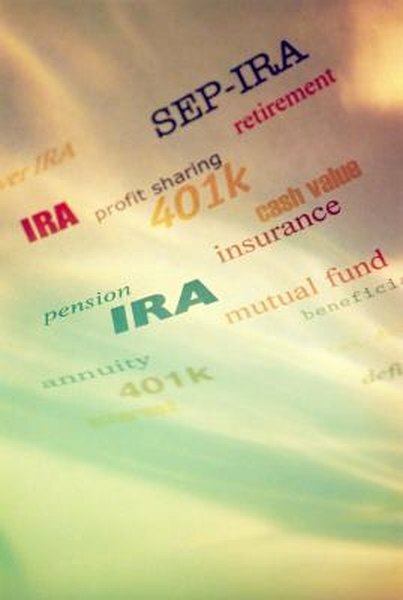 You can roll assets from a designated Roth account to a Roth IRA tax-free. If you do this type of transfer, you’ll have to pay taxes and a penalty if you distribute earnings from the Roth IRA during the five-year period that began with your first contribution.